Major Waller’s Court – Fix Bayonets! Last week, I wrote about Major Littleton W. T. Waller’s march across Samar. It was an event encompassing great courage, substantial challenges, and much suffering. I suspect many lessons were learned from this tragedy—including the effect on morale when casualties are abandoned along the trail. I also hope there were lessons learned about the importance of logistics, but I think history will show that this lesson was one of the more difficult over all. It appears we are learning it still. But Waller’s trials on the march across Samar were only the beginning of his unhappy experience in the Philippines. Major Waller largely ignored these illegal orders, but it did become necessary for Major Waller to order the summary execution of eleven native carriers when they mutinied against the Marines in the field, stole their rations, and attacked them at their weakest moments. After the execution, Major Waller duly reported the incident to his superior, Brigadier General Smith. General Smith passed Waller’s report of the executions to his superior, General Adna R. Chaffee, U. S. Army. Chaffee decided to investigate these executions, despite General J. Franklin Bell, U. S. Army having purportedly carried out similar executions on a much larger scale only a few months before —albeit with no subsequent investigations. As a result, Major Waller was brought up on charges of murder in ordering the execution of the Filipino porters. Specification: In that Major Littleton W. T. Waller, United States Marine Corps, being then and there detached for service with the United States Army, by authority of the President of the United States, did, in time of war, willfully and feloniously and with malice aforethought, murder and kill eleven men, names unknown, natives of the Philippine Islands, by ordering and causing his subordinate officer under his command, John Horace Arthur Day, First Lieutenant, U. S. Marine Corps, and a firing detail of enlisted men under his said command, to take out said eleven men and shoot them to death, which said order was then and there carried into execution and said eleven natives, and each of them, were shot with rifles from the effects of which they then and there died. This at Basey, Island of Samar, Philippine Islands, on or about the 20th of January 1902. 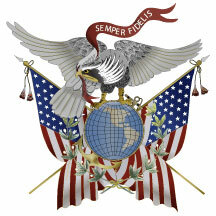 Major Waller’s attorney was Commander Adolf Marix, U. S. Navy. He first argued unsuccessfully that the Army had no jurisdiction over Waller, as he was again under Marine Corps command, no longer attached to an Army command. Marix argued that since the Army did not charge Waller while he was still attached to the army for service, their authority over him had expired. The next morning, Major Kingsbury provided a series of telegrams between Admiral Rogers and General Chafee in which the offer of 300 Marines was made, and accepted. “The Marines were serving in Samar by order of the President, the Secretary of War, and the Secretary of the Navy—and they were there,” he said. General Bisbee ruled that the court was without jurisdiction in the case, but he left open the possibility of reversing himself if instructions were received from the office of the Adjutant General of the Army. On 21 March, the instructions arrived. The Assistant Adjutant General noted that the Commanding General of the Philippine Department (General Arthur MacArthur, Jr.) had ordered a preliminary examination of the case, with a view to legal action, before Waller was relieved of duty with the Army. Waller assisted in Major Getty’s investigation, and was questioned by him, so he had to know that he was a party to the proceedings. Besides, a “brief lapse of jurisdiction” cannot mitigate a murder charge. General Bisbee was then obligated to decide that his court did have jurisdiction over Major Waller, and ordered the trial to proceed. Major Waller thereafter entered his plea: “To the specification, guilty —except to the words ‘willfully and feloniously and with malice aforethought, murder, and …’ to those words, not guilty. To the charge, not guilty. At no time did Major Waller use General Smith’s orders, “I want all persons killed” to justify the execution of the Filipinos. He instead relied exclusively on the rules of war and provisions of a Civil War General Order Number 100 that authorized “exceeding force,” much as J. Franklin Bell had successfully done in the preceding months. Waller’s defense thus rested. The prosecution then called General Smith as a rebuttal witness. On 7 April 1902, in sworn testimony, Smith denied that he had given any special verbal orders to Waller. This testimony obliged Waller to produce three officers who corroborated Waller’s version of the Smith-Waller conversation, and he submitted copies of every written order he had received from Smith. Waller informed the court that he had been directed to take no prisoners, and to kill every male Filipino over the age of ten. The court martial board voted 11-2 for acquittal of Waller. Later, the U.S. Army Judge Advocate General dismissed the entire case, agreeing that a Marine Corps officer was not subject to an Army court. 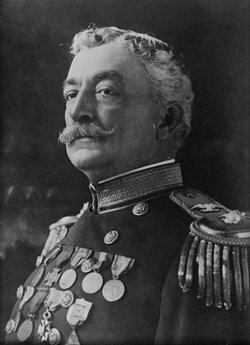 Back home, the press labeled Waller as “The Butcher of Samar,” and even though Waller was eventually promoted to Major General, the court martial kept him from an appointment as Commandant of the Marine Corps. As the result of evidence introduced at the Waller trail, General Smith was himself court-martialed, convicted, admonished, and forced into retirement. Post script: Many of us like to think that the military services rely heavily upon honor, personal and professional integrity, but the fact is that there are some who disgrace themselves and the uniforms they wear. Smith was such a person, who lied in court about the orders he issued, but continued to benefit from his status as a former brigadier general in the United States Army. We have situations even today where there is a question of the veracity of senior officers, from the Commandant of the Marine Corps, to others who seem unable to control their libido. Our troops deserve much better than this. What should Waller have done? He would have been prudent to make his report to the senior Army commander, and turned his prisoners over to that officer, for his adjudication. I was astonished to learn that good Major Waller was brought up on such charges. No, I am certainly not military and definitely know nothing of UCMJ but it is unbelievable that such shenanigans (whims or politically driven) have been taking place for so long. But seriously, and how I read your words, how could Waller and his men – given the horrible condition they were in – have restrained the perpetrators then take them back as prisoners? Perhaps that may have been the proper course but you cannot allow “people” like that to abscond with much needed food? Is it because they were likely unarmed? Surely they had some kind of weapon? I feel great sorrow for Major Waller, though, having been subject to court-martial while carrying out his duty. At least Smith got his due. The UCMJ didn’t come about until 1951; before that, military and naval justice was regulated by the Articles of War (1806) and (1921). The system of military and naval justice isn’t perfect, of course, but it is pretty good. We hope that military personnel aren’t spuriously charged, but if they are, then the Manual for Courts Martial (1951) goes a long way to ensure that everyone has a fair trail. This works, of course, as long as senior officers do not attempt to influence the courts—as in the case of Marine Corps Commandant James F. Amos recently, in the infamous Taliban urination case. Has anyone noticed Major Waller’s similarity in physical appearance to that of me? Eerie, huh?! You need a haircut, Bub. It’s only a little past my shoulders. When I stick it up under my cover, you’d never know. PS — You probably think I’m kidding.